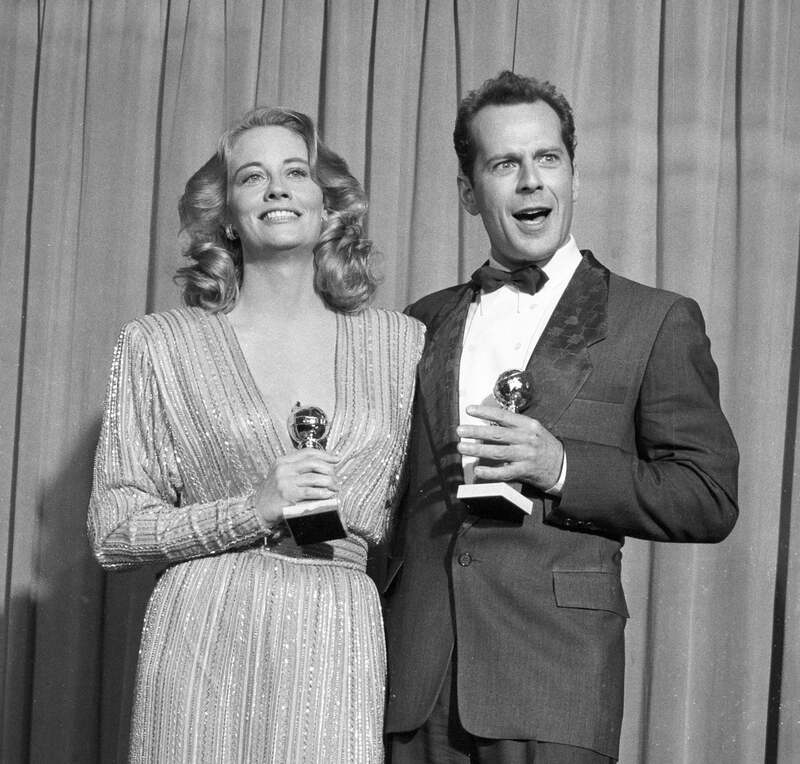 Cybill Shepherd and Bruce Willis celebrate backstage after winning Best Actress and Best Actor in a TV series - comedy for Moonlighting at the 44th Golden Globes, held Saturday, January 31, 1987, at the Beverly Hilton hotel. The actors were both nominated for these roles three years in a row, 1986, 1987, 1988. Shepherd had won as Best Actress the year before in 1986. She will win Best Actress again in 1996 for the TV comedy series Cybill.